FRIDAY FILE: Nicaragua's Comprehensive Law on Violence Against Women, or Ley 779, is a historical demand of the women's movement, but the Decree to implement is problematic according to feminists in this Central American country. In July 2014, President Daniel Ortega once again acted autocratically by signing in a Decree to implement Law 779, without consultation with the National Assembly or the women´s movement. 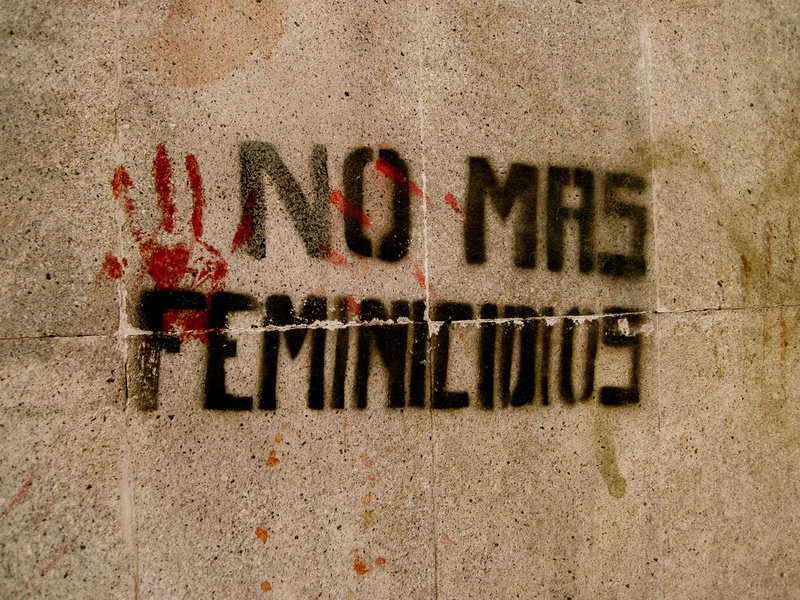 The Decree has introduced amendments that concern feminists, including reinstating a clause regarding mediation between a woman and her attacker and reformulation of how feminicide is understood. In Nicaragua, women's rights have experienced a series of setbacks since October 19, 2006, when abortion was criminalized under all circumstances. Since then, Ortega has been moving closer to the Catholic hierarchy, and implementing various reforms in a dictatorial fashion. Some of this regression is reflected in the process around Law 779 “Comprehensive Law on Violence Against Women", that first entered into force on June 22, 2012. On September 25, 2013 the National Assembly introduced amendments with Law 846, which entered into force on October 1, 2013. Importantly, while there was no stipulation in Law 779 about how the law was to become effective, Law 846 stipulates that the law be signed in accordance with Article 150 in the Constitution. Sofía Montenegro, one of MAM's co-founders, spoke to AWID, and points out, " After a law has been passed by the Legislative, the Constitution gives the President 60 days to issue a decree stating how the law should be implemented. If he fails to do so, he loses this power and it is the role of the National Assembly to do so. The deadline for the President to issue the decree was November 30, 2013, but he only issued Decree 42-2014 eight months later on July 30, 2014 and it was published on July 31. In addition Decree 42-2014 it is more than a regulation to implement the law, it introduces illegal modifications in the text of Law 779. According to Montenegro the women's movement has organized demonstrations and parades against this measure, questioning the constitutionality. MAM published a policy position paper on August 14th, rejecting the amendments, and more than 100 claims on unconstitutionality have already been submitted to the Nicaragua´s Supreme Court against the Decree. One of the claims on unconstitutionality, submitted by the Comité de América Latina y el Caribe para la Defensa de los Derechos de las Mujeres (Cladem) states that the Decree “violates two principles of the Nicaraguan National Constitution: one is the rule of law, that no decree can oppose the Constitution, and the second has to do with the fact that the president is not permitted to reform any law at his own discretion”. The processes of these claims is an ongoing process. Civil society and including the women movement requested hearings with the Inter-American Commission on Human Rights (IAHRC), but this was not granted. The regional body was also asked to follow-up on the situation as mandated by Article 41 of the Inter-American Human Rights Convention - this second request is still awaiting response. Montenegro explains, “the object of Law 779 was to address violence against women, in the Decree the goal of the law changes and seeks to 'Ensure that the family is strengthened'. In terms of the scope of applicability, Law 779 was designed to apply to both the public and private sphere, against those perpetrating violence against women in an isolated or repeated way. Now, the Decree makes this law applicable only to those that have or have had a relationship to the victim - by blood, affinity, as spouse, former spouse, de-facto partner, boyfriend, etc. The most problematic amendment is around feminicide, Law 779 defined feminicide as a crime 'committed by a man who, within the framework of unequal power relationships between men and women, murders a woman in a public or private space, under any of the circumstances already mentioned", whereas now it is limited to interpersonal relationships. The Decree creates Family Counselling services and affirms that the axis of the law must be the protection of the family. In the community, the Family Counselling units will conduct home visits and training on values. These units will be staffed by volunteers; judicial, pastoral and family facilitators; religious leaders and the “Family, Community and Life Cabinets” and the police will also be involved. Montenegro explains, "These Cabinets are para-State/para-party structures in which the political secretaries of the leading party, Frente Sandinista, and appointed party members are involved." Its goal is to "promote the common good, solidarity, Christianity and peaceful coexistence between the families in a community", according to it elections manifesto. She adds, "These structures are permitted to mediate, without having any specific training and with a family-centered approach that does not protect women's lives or integrity. Authorities will have to help each other to issue an injunction. With all this, a woman who is a victim of violence will not be able to file a complaint with the police if she has not gone through a mediation process with the Cabinets. Mediating through the 'Community Family Counselling services' becomes compulsory de-facto." In addition to organized demonstrations and parades in protest of this decree, feminists and women’s rights advocates have spoken out about their concerns. In the journal “Envío” Azahalea Solís speaks specifically about the mediation clause which existed before Law 779 was passed, and that "far from stopping violence it actually aggravated it, causing more harm and, in the worst case, the woman's death. The message the State is conveying to society through this decree is lethal, not only because it means encouraging impunity but also turning the State and all its officers into principal accomplices of violence, because having perfect knowledge that mediation does not work for this kind of anti-legal behaviour, what they do is consent to the crime and deliberately favour perpetrators. This leaves women completely helpless." Every month, Catholics for Choice-Nicaragua publish an infographic with data on incidents of violence against women and feminicides. In an interview with the portal “Confidencial”, their representative, activist Magaly Quintana said, "Ortega's Decree seeks to render feminicides invisible. He is no longer hiding data as he did earlier with maternal mortality and sexual violence, but aiming to hide reality and show that there are less feminicides in the country. Now all of these crimes taking place in the public sphere will not be counted and will face lesser punishments." Sandra Ramos, from Movimiento de Mujeres María Elena Cuadra, who shared her understanding with the same source, believes the government is showing that "it lacks a spirit of gender and is also not interested in learning about women's realities. It just created this tool in its own image and seeking to endear itself to the Church hierarchy". Montenegro states that with these amendments to the Law 779, “the Ortega regime has brought women back to a pre-modern stage in which they are under the tutelage of other individuals, groups and institutions - like the Family Councils - depriving them of their autonomy as free persons capable of representing themselves. In fact, it takes us back the status we had under the Napoleonic Code: unable to make our own decisions and placed in the same category as children and 'idiots'. The Ortega regime is a dictatorship that has deprived all Nicaraguans of their political rights, but in the case of women, our right to life has been taken from us, as illustrated by the elimination of therapeutic abortion and the amendments to the article on feminicide”. In Nicaragua, women continue to be alert and react against these authoritarian moves made by Ortega and stands up against what MAM, has called "an operative mechanism for social control and repression that serves the totalitarian regime under development" with full impunity. *The author would like to thanks Sofía Montenegro.